The recent elections mark a milestone in Tunisia’s transitional democracy. For many, the success story of the Arab Spring is on the path to democratic consolidation. The nascent democracy has undergone numerous transitions in the past few years. Following the ousting of Ben Ali, the country witnessed a series of interim governments. However, the October 2011 elections ushered in a new phase towards democratic transition. Islamist party, Ennahda, was elected, forming a coalition with smaller secular parties and drafting a new constitution. Ultimately, this led to tensions and divisions along the religious and secular line, culminating in violence in mid-2013 and a call for a political crisis. Political assassinations and terrorist attacks resulted in Ennahda stepping down and in the review of the legislation and constitution. The country has since called for new parliamentary and presidential elections. Many saw the October 26th parliamentary election as another step towards a successful democratic transition. As a result, the secular party Nidaa Tounes won the election with 85 seats while Ennahda fared fairly well with 69 seats. Needing a coalition to rule effectively, it was recommended that they form an inclusive government. Despite the seeming success of the elections, a very low voter turnout was indicative of underlying popular opinion of the democratic transition and process. In fact, old supporters of the Ben Ali’s regime were able to run for office under the winning party and are back in parliament to the dismay of many. If the party is to continue striving for democratic consolidation, it will face numerous challenges. It will have to, despite internal divisions, maintain a sense of cohesion within the party, respond to growing and impatient demands of the public for progress and respond to needs for social and economic reforms. Tunisia’s ability to consolidate its democracy will rest on certain criteria: namely, allowing the development of a strong civil society; an autonomous political society; an accountable government and judiciary; state bureaucracy; and an institutionalized economy. Evidently, these criteria are found in the strongest consolidated democracies and are much to ask from a transitioning Tunisian democracy. However, in order to deem itself a democratic state, Tunisia will have to achieve these standards, regardless of the challenges it might present. While it seems like the country is on a path to democratic consolidation, popular opinion argues otherwise. Currently, many fear that Nidaa Tounes is a step back towards the old regime. In fact, the leader of the party, Essebsi, is an ex-minister and senior statesman of Ben Ali’s regime. Some Tunisians are worried that he might reverse the gains made by the youth-driven uprising of 2011. Additionally, there are speculations and doubts concerning Nidaa Tounes’ internal politics. It has yet to hold internal party elections and is often criticized for its lack of transparency within the party and alledged internal divisions. The first round of presidential elections raised concerns that these divides were only going to be exacerbated by the presidential results. Marzouki, deemed the leading contender for presidential office, is seen as loyal to political Islam and supported by the Ennahda party. Resulting tensions and internal divisions within the government could be a roadblock to democratic transition and could paralyze political society. Tunisia is regarded as having one of the strongest civil societies in the region, which contributed greatly to its relatively successful transition following the Arab Spring. While this still holds true, the uprising in 2011 was mostly youth-led and the past few years have seen an increasingly disaffected youth. The democratic process and a lack of perceived change since 2011 have left most disappointed. Youths are weary of the political parties’ platforms and call for greater transitional justice as well as for political plurality. Despite setbacks, the prospect for democratic consolidation is still realistic in a Tunisian context. 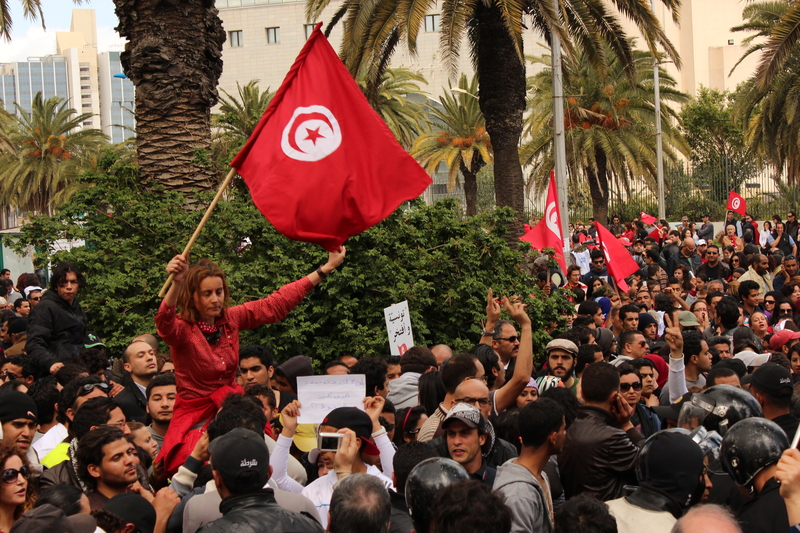 While democracy was not the result for many countries in the region, Tunisia is perceived as the examplary model of the Arab Spring. However, its prospects will rest heavily on its ability to achieve greater political pluralism, address social and economic issues and resolve or mitigate secular and religious divides within the government and, ideally, Tunisian society. Despite calls for political pluralism and greater stability, the dynamics of opposition between Nidaa Tounes and Ennahda allows for greater accountability and limits the possibility of a single political party taking dominance, leading to sustained progress towards democratic consolidation. Another element to consider is the place of transitional justice and social reforms in Tunisian democratic transition. As established, elections and thriving political society are not the sole indicators of a democratic state. Tunisia will have to address its social and economic issues; namely, the violations of human rights, the radicalization of Tunisians and the growing popular disenchantment with the political and economic systems. 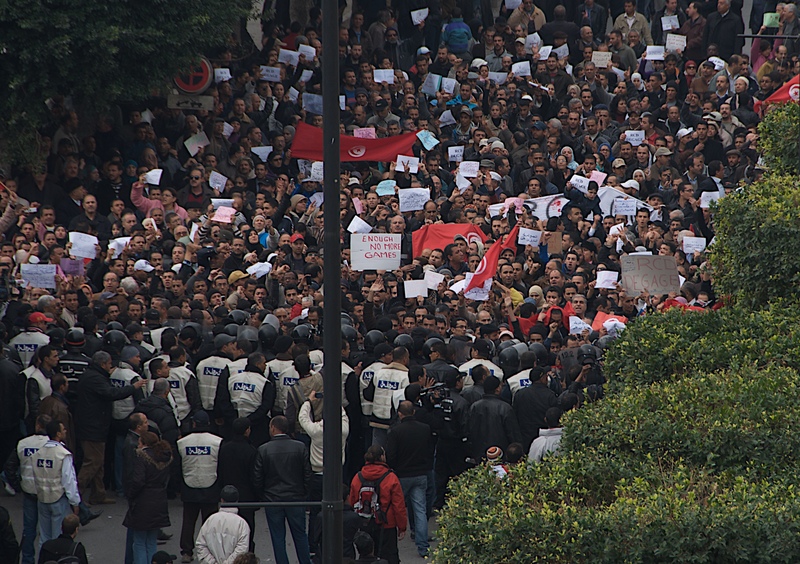 These are the central threats to a successful democratic transition in Tunisia. If not addressed, the country could face devastating setbacks and witness the reversal of progress made following the uprisings.